Curtis Duncan: Beware of "Vegetable Oil"
There is no oil that can be produced from a vegetable. 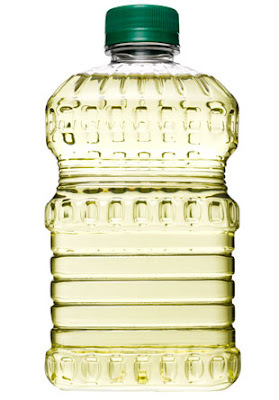 Vegetable oil is really soybean oil. Soybean oil is genetically modified and highly refined oil and that is made from a genetically modified soy plant. Genetically modified foods have been found to cause liver damage, instant death, life threatening allergies, sterility, cancer, birth defects, behavioral problems, sudden death, weakened immune systems, miscarriages, and birth defects. Children are at great risk for GM foods. Genetically modified foods even change the genes of humans! GM foods can also cause your body to begin producing pesticides within your body. It would be wise to avoid any product that is made with soybean oil. If it is not organic or does not say that it is non-GMO then the soybean oil you are consuming is genetically modified. Also vegetable oils such corn, sunflower, safflower, and soybean oil all increase your risk of developing heart disease by increasing the levels of inflammation in the body. That is because these oils are rich in pro-inflammatory omega 6 fatty acids which is the reason why heart disease have skyrocketed in the past decade. Animal fats are not the cause of the heart disease epidemic. It is vegetable and plant based oils. Schedule a consultation with me and receive the highest quality health information on the planet so you can be perfectly healthy! I have been a holistic health researcher for the past 10 years and my specialties include how to cure and prevent disease, nutrition, natural remedies, and weight loss. I am also an Emotional Freedom Technique expert and this amazing, fast, and highly effective acupressure technique can be successfully resolve for any health, emotional, or physical issue on the planet. EFT works within minutes and works where nothing else does! Schedule your health and nutritional consultation today by clicking here!